Philip L. Schmidt is a partner in the Toledo law firm of Brady, Coyle & Schmidt, Ltd., where his primary areas of practice are estate planning, probate, and real estate transactions. Mr. Schmidt is a graduate of the University of Toledo (B.A., 1970), and the University of Toledo College of Law (J.D., 1974). 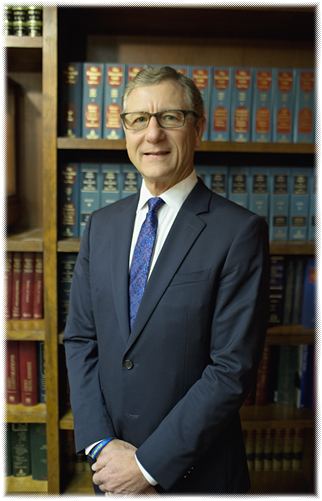 Mr. Schmidt is licensed to practice before the following courts: Ohio (1974); Michigan (1977), U.S. District Court for the Northern District of Ohio (1974), U.S. District Court for the Eastern District of Michigan (1981), and the U.S. Supreme Court (1997). Mr. Schmidt is a member of the Toledo, Ohio State and Michigan bar associations. Mr. Schmidt is also involved in various community and civic organizations, including the Sports Car Club of America, the University of Toledo Alumni Association, and St. Timothy’s Episcopal Church. He has served as chairman of the Toledo Bar Association Probate and Estate Planning Committee. Mr. Schmidt has extensive experience in probate matters, including estate, trust, guardianship and conservatorship administration and adoptions. Mr. Schmidt’s legal representation also includes advising clients in elder planning, asset preservation, wills, trusts, powers of attorney, health care documents and non-probate instrumentalities, along with small business organization, and real estate transactions.